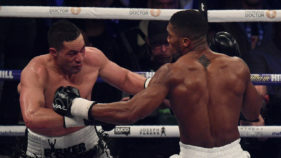 Britain’s Nigerian-born Anthony Joshua moved a step closer to becoming undisputed heavyweight champion of the world on Saturday after beating New Zealander Joseph Parker on a unanimous points decision. 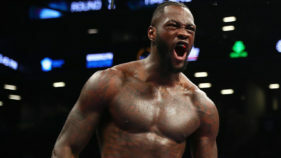 Current world heavyweight champion, Anthony Joshua is ready to “rock and roll” with Tyson Fury whenever the former champion wants to get in the ring with him, reports sport.bt.com. 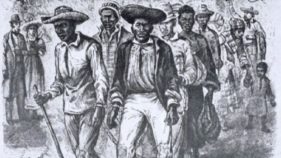 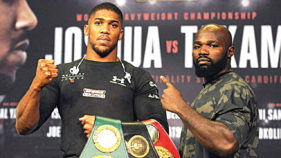 With the roots of the two pugilists traced to African soil, boxing fans in Nigeria, Cameroon and other parts of the continent and beyond are anxiously looking forward to the bout in Cardiff, England. 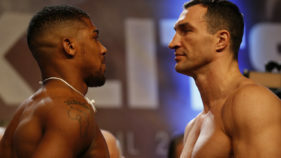 Anthony Joshua is hopeful the prospect of a heavyweight world title showdown in Las Vegas will tempt Wladimir Klitschko into a rematch.